Ciao! I’m Nasha Liuna Di Lenardo and I’m from Friuli-Venezia-Giulia, a beautiful region in the northeast of Italy. I started to ski when I was 5 in Sella Nevea and soon after also started my sporting career in a ski club in my town. In high school, I frequented the Bachmann ski college in Tarvisio and afterward I graduated in Psychology at the University of Trieste with a thesis “Ski racing and school: teaching mental training”. 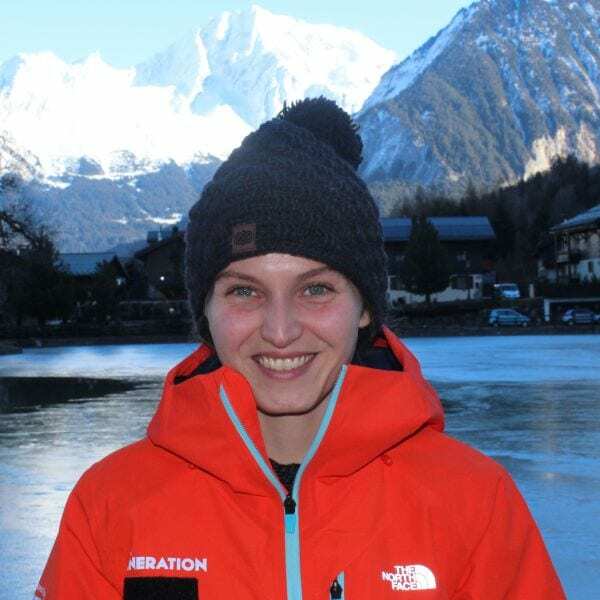 I am passionate about mountain sports: alpine skiing, ski touring, freeride (I’m a certified ski guide), ice climbing and walking with snowshoes in winter, and mountaineering, hiking and climbing in the summer. I had worked in Italy and Slovenia before, and from 2017 I’m happy to be part of New Generation Ski School. Everyday is a fresh start full of new adventures. Fancy a private lesson with Nasha on your next holiday?